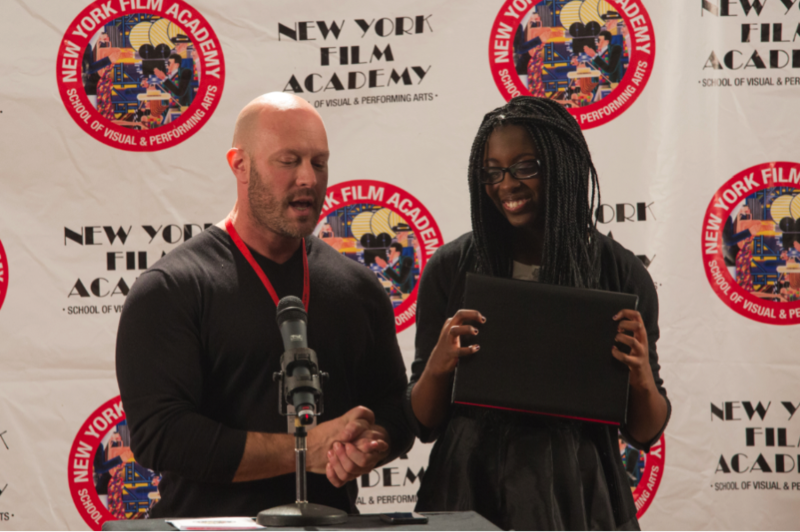 Senior Executive Vice President David Klein awards a student a scholarship to NYFA’s Summer Camps. 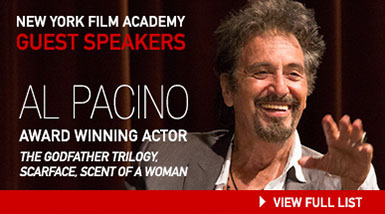 As part of the New York Film Academy’s annual Citywide High School Scholarships, the Film Academy has awarded five scholarships to aspiring filmmakers and actors to attend our renowned summer camps. ir creative skills are ideal candidates. Each student that applied for our Summer Camp Scholarships was required to include an essay that detailed his or her opinions on the transformative power of visual storytelling and its ability to instigate positive social change in one’s community. In addition to the essay, the applicants were asked to provide their thoughts on some of their favorite films, filmmakers, and actors. Senior Executive Vice President David Klein (far right) with this year’s scholarship winners. 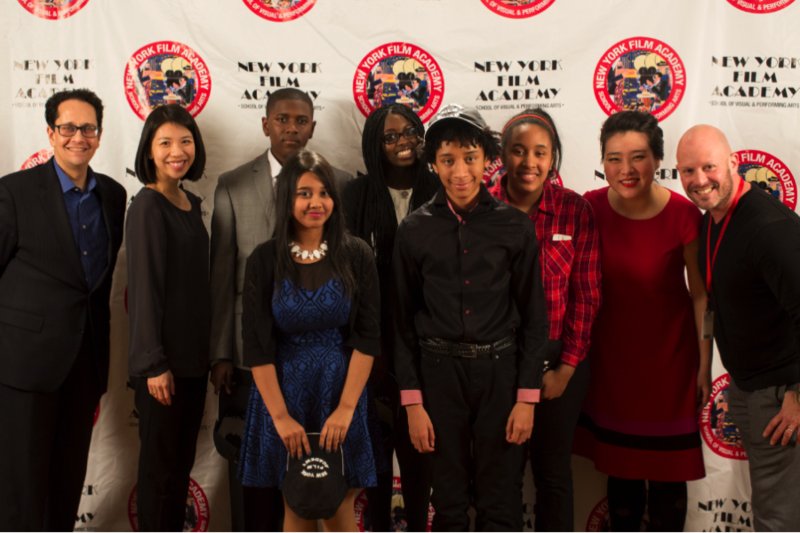 NYFA would like to extend a heartfelt congratulation to these phenomenal students and welcome them to their upcoming summer camp experiences. To learn more about our summer camp programs, please click here to learn more. Students have the option to enroll in a summer camp in wide variety of topics that include filmmaking, acting, music video, photography, musical theatre, 3D animation, video game design, or broadcast journalism at locations throughout the world.